With the increasing dependency of everyday's life on computer-aided support, moving large portions of the needed application programming load from programming experts to application experts or even to end-users becomes a major challenge: In particular, typical daily adaptations and modifications should be in the hands of the application experts. 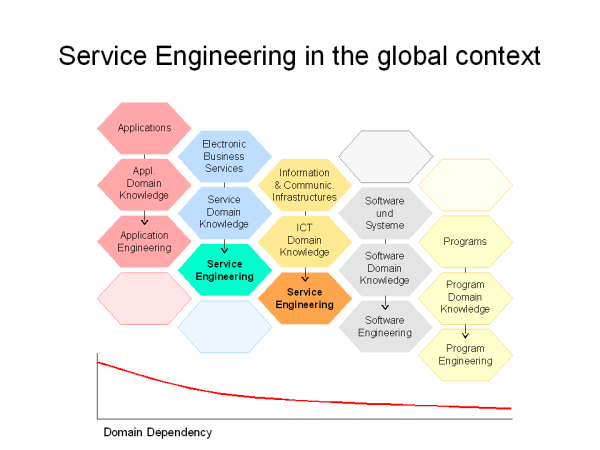 Service engineering Service Engineering generalizes the development of so-called value-added services, the traditional services bridging the gap between technology and end user known from Telecommunication (like Freephone, 0800-Services, or Virtual Private Networks), to the development of more general communication and reactive systems. Fundamental is the notion of Service Logic graph, which allows one to describe services from the user´s/application expert´s point in a formal fashion, ready for automatic translation and deployment on the considered telecommunication infrastructure. Our approach of lightweight coordination arose in this context. 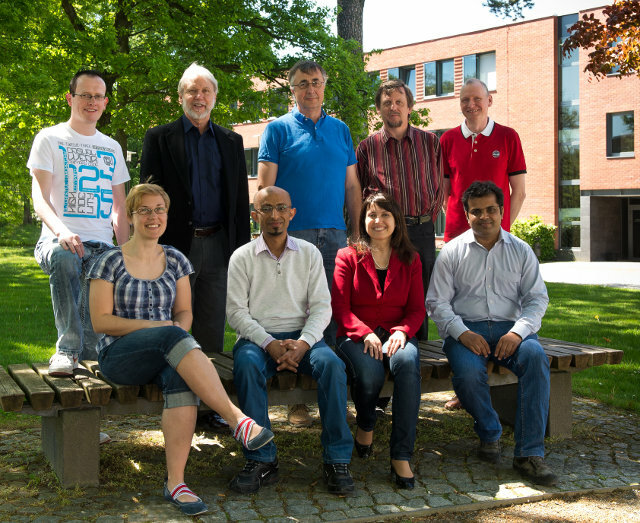 It is characteristic for its means of validation and quality control by means of formal methods like model checking and testing, and its hierarchical decomposition, view-based aspect decomposition, behavioural synthesis and automatic deployment.The success of this method strongly depends on an adequate modelling of the application domain, which comprises in particular the component library (consisting of so-called SIBs - Service Independent Building Blocks) and the identification of the inherent process characteristics, like causal relationships between activities, safety critical behaviours, and standard process patterns. Industrial Experience Our approach reflects almost a decade of experience with industrial service providers, and with servicing companies of varying profile. Experiences, which are characterized by synergetic effects: it is difficult to support service providers without having understood the end users´ point of view, and our support for e-business companies and financial services strongly depended on our experience with the required technology for business process modelling, enterprise application integration, and deployment. Perspectives There is a global tendency that workflows and business processes become IT-supported, if not automated. Even though this sounds rather obvious for many application areas e.g. in the telecommunication sector, there are areas which are just at the beginning of this development. A prominent example is banking, where the Basel II process imposes a new approach to risk management. The state of the art here is characterized by imprecise and changing requirements and a very basic IT support. This is due to the fact that an adequate IT-solution would cut deep into the organizational structure of a bank. Thus it is a challenge to communicate the power of process/service engineering and to realize the hidden potential, as the required change is business wide and business critical. Contact For details and Information on related research and teaching activities refer to the related pages or contact Prof. Dr. Tiziana Margaria-Steffen.